Steve Jobs will be a no-show at MacWorld this year, fueling concerns about his health. Apple Inc. says charismatic CEO Steve Jobs won't be taking the stage at the annual Macworld computer trade show in January. 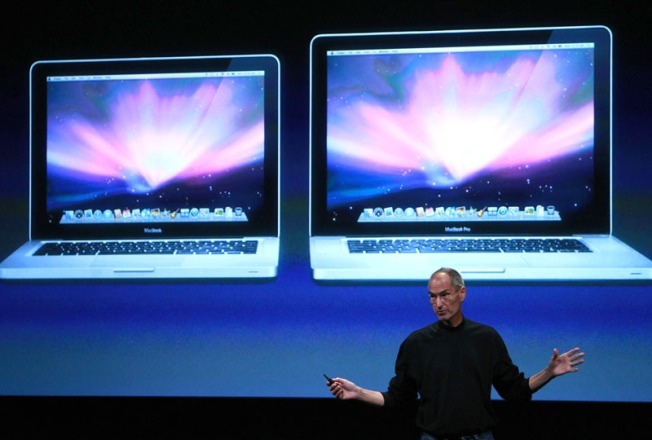 Jobs' Macworld keynote has become one of the consumer electronics industry's most-anticipated moments. Last year, Jobs unveiled the ultra-thin MacBook Air. In 2007 he gave attendees the first glimpse of the iPhone. A senior vice president of marketing will deliver the opening keynote instead. And the computer and iPod maker says it won't attend the Macworld Expo after 2009. Apple shares dropped nearly 4 percent in after-hours trading. The announcement will most certainly lead to speculation that the Mac founder is ill. He has battled cancer in the past and had clearly lost weight the last few times he had been seen in public. In September, when Jobs took the wraps of his revamped line of iPods, he played off a famous line from Mark Twain in referring to an obituary about him that was accidentally posted by Bloomberg News and then retracted. News outlets regularly prepare obituary material on famous people. Questions about Jobs' health swirled after he appeared gaunt at an Apple event. Apple has since said Jobs, 53, a survivor of pancreatic cancer, suffered from a bug and is better. He appeared thin, but energetic, according to reporter Scott Budman. This item appears courtesy of our sister site nbcbayarea.com.